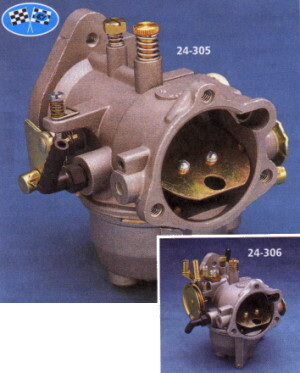 Duplicates of the Original Equipment Bendix carb with optional adjustable main jet. For all Sportster® models -from 1957 thru early 1976 and all Big Twins from 1969 thru 1975. May also substitute in most Keihin 'butterfly' applications. 40mm venture and an adjustable main jet, set-up for 'push-pull' throttle cables and a VOES switch. For Big Twin models from1969 thru 1989 and Sportster® models from 1957 thru 1987. Note: Installation on Evolution® models requires CCI #15-917 Cable Accessory Kit.